The Earth is submerged with man’s brilliant creations. Every great city houses a relic of the past that you can do nothing but marvel at; the magnificent ceiling of the Sistine Chapel, the moulded domes of the Blue Mosque, the grand galleries of the Palace of Versailles. And yet, time and time again, seven (the magic number allotted by the Greek for its powerful properties) breathtaking wonders exist, selected by 100,000 million people made in a declaration ceremony in Lisbon, Portugal. And here we present them to you, in no particular order of ranking. Amidst impressive limestone boulders, under which runs rivers and natural wells of mythical wonder, rise a stunning piece of architecture the Chichen Itza. Long served as the political and economic centre of the flourishing Mayan Empire, it also served as the place where men, women and children were sacrificed for the God of rain and lightning, in the hope that he may end the droughts. Today it stands as a buzzing tourist site and important historical artefact. The Islamic people respected Geometry so much that they have constructed vast monuments of such beautiful symmetry that the wonderer does just that, wonders. And none is more impressive than the four pillars of the Taj Mahal, that stand identically, astonishingly mirroring the images on each side. The Taj Mahal really is a mausoleum, built by a grief struck Emperor Shah Jahan for his favourite wife, Mumtaz Mahal. It stands tall today after taking 22,000 people, 1000 elephants, and 17 years to build. The white marble changes its hues to petal pink in the morning’s sunrise, snowdrop white in the daytime and rich gold in the moonlight, and is said to resemble the ever changing moods of a Woman, especially the Emperor’s beautiful Queen. A European traveller in the 1800s cleverly disguised as a Bedouin, traversed the realms of the Jordanian desert, to find himself facing an entire city carved from the sandstone cliffs. The city of Petra before than had been completely lost to civilisations. Once the capital of the Nabataean empire. It’s ancient walls since have been featured in a variety of film, most famous of them being Indiana Jones. Although featured in film and pictures, it is only a visit to this splendid city that can truly justify its majesties. Ascending the dizzying heights of this impressive statue of Christ, bestowing his generosities on the city of Rio de Janeiro, you will be forgiven to think of yourself as a bird. The unparalleled 360 degrees view cannot be contested with, set atop the 2400 ft. tall, Corcovado Mountain, and sprawling beneath it the vibrant city itself. Although only built in 1931, it has risen to the very tops of the wonders of the world. Rome is a city that is enriched in architecture thanks to the powerful and wealthy Roman Empire. It is thus without doubt therefore that this museum city hosts one of the most famous amphitheatres in the World- the Colosseum. As you walk away from the Pantheon, the Palatine hill, the Roman Forum, your greedy eyes take in the sight of the crumbled walls that once completely encircled the open air theatre, and you can’t help but think of Gladiators. Constructed under watchful eyes of the Roman Emperor, Vespasian and completed in 80 AD by Emperor Titus. Recently a Russian tourist was fine 20,000 Euros for carving their initials on one of the ancient walls, so make sure to see but not touch. The great dynasties of China saw a lot of bloodlust, and the stories of their raging wars are plastered on thousands of historical books. And such example of a bygone era, lies in the magnificent defensive structure, the longest wall in construction – the Great Wall of China. 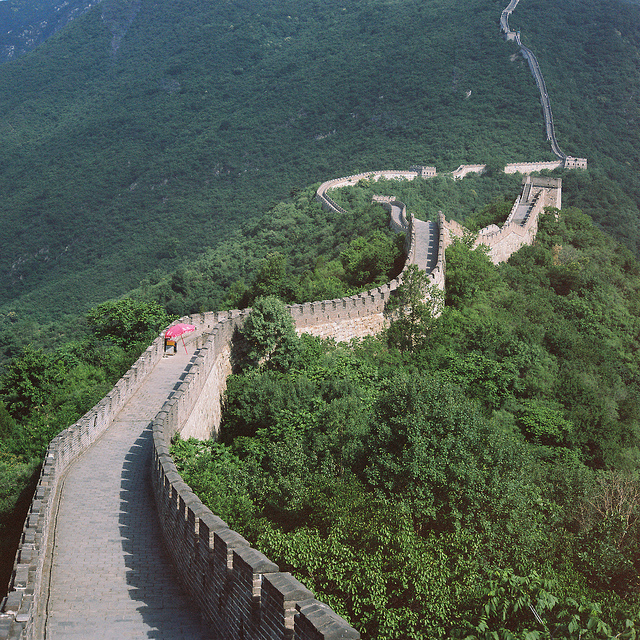 Built tо defend the Northern Empire оf China against invaders, іt wаs built оvеr а period оf 2000 years. When President Barack Obama visited the wall in 2009, he exclaimed “It’s majestic. It’s magical. It reminds you of the sweep of history, and that our time here on Earth is not that long, so we better make the best of it.” He’s put it better than I can. The sheer audacity with which this World Unesco Heritage site was constructed is indeed humbling. The lost citadel of the Inca Empire, Machu Picchu was rediscovered in 1911 by the archeologist Hiram Bingham. No other site perhaps blends the natural wonders of the Earth, the towering green mountains, the grappling blue skies and the sheer scale of mankind’s artistry like this city. Built in 1450 and used for only a 100 years before the Spaniards invaded South America,Тhе Inca Trail usually takes about 4 days tо walk uр the mountain passing into the cloud forest with а spectacular sight of the rising sun on the last day оvеr the ancient citadel’s ‘Sun Gate’.